M Rajeevan, Secretary, Ministry of Earth Sciences, pitches for ‘decision support systems’ at dams, acknowledges the challenge of climate change, warns against repercussions of ‘fast-warming’ Indian Ocean. The floods in Kerala have once again raised concerns over extreme climate events. Questions have also been raised over whether such floods are man-made, triggered by rapid urbanisation and deforestation. 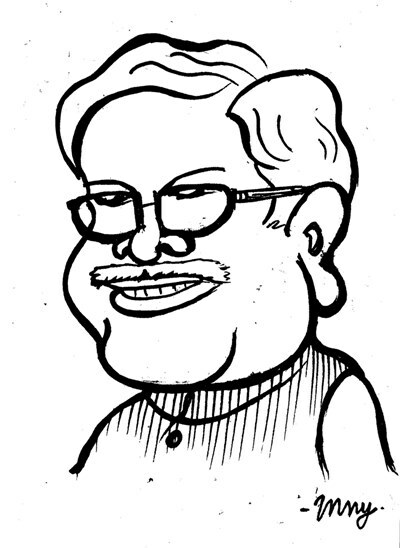 The Secretary of the Ministry of Earth Sciences, Dr Rajeevan — who is also ex-director of the Indian Institute of Tropical Meteorology and has contributed significantly to the development of monsoon prediction models used by the IMD for forecasts — says global warming and lack of scientific flood management hold clues to the frequent floods witnessed in recent years. HARISH DAMODARAN: Rainfall patterns seem to have changed much. Why is it that in any monsoon season now, there are fewer rainy days, but when it rains, it pours? That is true. In the monsoon season, we now find an increase in frequency of heavy rainfall. This is well-documented. And it is not just in some parts, this is happening throughout the country. For example, if some belt earlier witnessed 15 cm of rainfall over 24 hours, the same region now receives 15 cm in 12 hours. It is also well-documented that this is linked to global warming. There is no dispute it has had an impact on monsoon precipitation. When the temperature goes up, the atmosphere has more capacity to hold water vapour and so more intense storms can develop in a short time. But if we analyse the overall seasonal (June-September) rainfall, there isn’t much change. Year-to-year there may be a change, but over the past 50 years, monsoon rainfall has been stable. This increase in intensity of rainfall, even on daily and hourly basis, is related to global warming. HARISH DAMODARAN: What makes you say that the increase in the intensity of rainfall is related to global warming? There are studies related to temperatures. The Indian Ocean has been warming at the fastest rate, compared to the others. So, that (rising temperatures) has a role to play there. Most of the water vapour (and the resultant precipitation) comes from the Indian Ocean. RAVISH TIWARI: As a forecaster, what are the challenges in predicting such erratic weather patterns? Weather prediction is tough. But in the last 10 years, we have improved a lot in terms of modelling. We have the best computers in the world, we have the best forecasting technologies, etc. At the same time, climate change has added another component to the difficulties in weather prediction. And we do not know how to tackle it. We have not understood the extent of the effect of climate change in terms of weather prediction. But we know that it can add to the uncertainty. We have not been able to calculate that uncertainty. The changes are not steady either, they are fluctuating. We are trying to work out the errors (in weather prediction) as a result of climate change. RAVISH TIWARI: What is the challenge in making spatial forecasts? At present, we give forecasts at the district-level for at least three-four days. It is qualitative, but we have now come up with models that can calculate probabilities as well — like whether the rainfall will increase or decrease in the next few days. It is very useful for farmers, who may not want to know tomorrow’s weather. Rather, they want to know the weather for the next 10 days. For example, if it is raining now, how long will this spell continue and when will it stop (which allows them to plan their cropping better). So we are attempting to predict this kind of ‘active’ and ‘break’ spells in the monsoon for about 10-15 days. Also, on an experimental basis, we have started block-level forecasting. There are 6,500 blocks (sub-districts) in the country. We have developed a model with a resolution of 12 km. That is, we can predict the weather for every 12 km. Blocks are almost of 10-15 km distance. We started the exercise from June 1. For now, we are looking at 200 blocks. We will assess the accuracy of these forecasts at the end of the season (after September). Ultimately, we would like to do block-level forecasts for 10-15 days, which will be the most useful for farmers. ABANTIKA GHOSH: Is river interlinking the answer to these devastating floods, or will this radical move come with its own set of problems? I am not an expert to comment on this. But I personally feel — and also as a climate scientist — it may not be a good idea. Each river has its own ecosystem. There are suggestions that river waters should not be allowed to go into the sea at all, which, I think, is ridiculous. In the north Bay of Bengal, river waters come from the Ganga, the Brahmaputra. So, there is a lot of fresh water inflow, which actually constitutes the dynamics of the Bay of Bengal. If the fresh water is cut off, the dynamics will change and then monsoon depression etc will not form. It will really affect the monsoon circulation. I think we have to be very careful in taking such decisions. We need a lot more scientific inputs. The intention may be good, but we need scientific analysis. AMEYA NAGARAJAN: What are some of the current gaps in weather forecast? We need a lot of observations. They are important, because in modelling, we make a lot of approximations. There is a lot of physics involved here as well and our understanding is limited because it is all happening somewhere in space. We can’t touch or see the observations. We can only do it remotely, using satellite, using information from radars. So, we need more and more observations of the physical phenomena occurring in the atmosphere. But our understanding of the monsoons has improved a lot in the past decades. We now understand clouds better, which has been revolutionised by satellites. In any model, knowledge of clouds is the most important. You need clouds for rain. Any problem in the prediction of rainfall is related to the prediction of clouds. The monsoon clouds here are convective. In the US, the weather doesn’t fluctuate that much, you know what the weather will be like for the next two-three days. In India, there will be blue skies in the morning, but in the afternoon there will be thunder clouds and it will rain, and then in the evening you will again have blue skies. This is a result of convective clouds, which is rare in the mid-latitude areas. So how the convective clouds are formed, its physics, that information is very limited. Also, if we know the present state of the weather, we can make better predictions. If there is an error in predicting the present state, that will continue to accumulate in the forecasts. That is one reason why the quality of our predictions goes down beyond three-four days. The initial conditions — information on the present weather — are not perfect. We have very vast oceans, but get very less data from the oceans. SHALINI LANGER: There is a lot of debate on the science of global warming and a lot of governments are sceptical about it, particularly the US. What is the Indian government’s position? The Indian government acknowledges global warming. The Ministry of Environment and Forests (MoEF) is responsible for policy-level decisions. They are in touch with the Intergovernmental Panel on Climate Change (IPCC). Our Ministry is responsible for the basic science, we are not involved with policy. Our inputs go to the MoEF and they take it into account while formulating policy. We have a centre in Pune — the Centre for Climate Change Research — where we develop high-resolution climate models. We conduct research on the reasons for global warming, why it is taking place and what will happen in the next 30-40 years. We call it climate change projection. So far, no Indian model has been part of the IPCC projections. If you look at the past five IPCC reports, you will see models from the US, UK, Australia, Japan etc. This will be the first time that an Indian model will be participating in the next assessment. We will make all our submissions by next year. Global warming is not a myth, it is real. There are repercussions related to global warming and we should accept that. SHRUTI NAIR: Madhav Gadgil, who prepared a report on the Western Ghats in 2011, has said that had it been implemented, the scale of the disaster in Kerala would not have been as huge. I cannot comment on it (the report). The commission made good suggestions — don’t cut trees, take care of the forests, etc. But there is also the other side that talks about development, building industries etc. HARISH DAMODARAN: Kerala was never prone to floods like this. And this time, we have also had Cyclone Ockhi. What has changed? We aren’t sure exactly what is happening but there are observations suggesting that the Indian Ocean is warming, especially the Arabian Sea side. In the recent years, the Arabian Sea is warming much faster and more cyclones are occurring, which was earlier limited to only Gujarat. The changes have occurred in the past 10 years or so. Kerala and Karnataka are very susceptible (now) and we should be very careful. Recently, we took a decision to set up a cyclone warning centre in Kerala. ABANTIKA GHOSH: The Gadgil Commission report was followed by the Kasturirangan Committee report. Already, the states where you have the Western Ghats are writing to the Environment Ministry that the Kasturirangan report should be diluted. As an expert, do you think that the Kerala floods would be a significant event, in terms of changing that discourse? I don’t want to comment on these two committee reports. The reports were submitted to the MoEF, and not to the Ministry of Earth Sciences. Kerala has also seen a lot of landslides this time. They have been caused by heavy rains. Mud and sand have (slipped) and trees have got uprooted. Kerala had been getting rain all of June and July. All this water would have had to be absorbed by the soil, which is, however, brittle and so it crumbles. Now, if there were enough trees, this wouldn’t have happened. So one impact of the heavy rains, especially when it comes to steep slopes like in the Western Ghats or in Uttarakhand, is landslides. Deforestation can lead to landslides. That is why one of the recommendations of the Gadgil Commission was to stop deforestation. AMEYA NAGARAJAN: In the debate between man-made versus heavy rainfall as the reasons for the floods, where do you stand as a climate scientist? As I said, the rains were heavy in June and July and the soil was already saturated with water. The rainfall in the first two weeks of August, too, was heavy. That, in turn, led to the opening of the dams and release of more water. Now, some people say that the dams were full in July itself and the gates should have been opened then. What do other countries do? The Colorado river in the US runs through seven states, from dry and arid to wet ones. But they do very good reservoir system management. They look at weather forecasts for the coming days to understand how much water to expect. They have a kind of ‘decision support system’ based on science. They start releasing water, based on the predictions, even before something serious happens. That kind of thing was not done in Kerala. RAVISH TIWARI: Britain can predict whether it is going to drizzle or rain over the next two hours. How far are we from making predictions with that precision? We are trying. We do not have a modelling system for that. We have 23 radars that track the weather system. Tracking the radars one can tell where it is going to rain in the next two hours, what kind of rain it will be, whether it will be a thunderstorm or drizzle etc. We are doing it for many cities now. We are putting 10 radars in the north-west Himalayas. These are small radars that can see up to 50-60 km. We also have the sea-band radar, which can see up to 200 km. By 2020, we will have about 50 radars and they will help in making localised predictions. MONOJIT MAJUMDAR: Over the past five years there have been extreme rainfall events — in Kerala, Bengaluru, Chennai, Kashmir and several others. Every time, we seem to be talking about exceptional rainfall in a short time, rampant unplanned urbanisation etc. Is the government planning some holistic analysis to understand this phenomenon? The government is aware that climate change is happening and that there has been an increase in extreme weather events. Gilbert White, a well-known hydrologist from the University of Colorado in the US, used to say that floods are made by god but flood disasters are made by humans. We need full-fledged flood management systems using scientific methods in India. As per my understanding, no big reservoir today has a decision support system. We don’t know when to open the dams, what is the right time. Nobody knows when a decision has to be taken. MONOJIT MAJUMDAR: What is the impact of climate change on agriculture? Isn’t it going to affect crop production? The agricultural community is aware of it. There is a lot of literature that says that because of rainfall and temperature variations, production of rice and wheat will be impacted. But how it will affect the farmer on a daily basis, that kind of quantification has not been done. It is being done in an academic way, but we need to have a better strategy on how to tackle climate change and tell the farmer how to cope with it. RAVISH TIWARI: Can the weather predictions provided by you be monetised in the future? Our forecasts are free. Anybody can use them. They can do further value addition and give them to any industry. At the moment no one has come forward (for it), except the agriculture and insurance community. The marine and ship industry use it. We are open to it (monetisation). HARISH DAMODARAN: The India Meteorological Department correctly predicted droughts in 2014 and 2015, and normal monsoons in 2016 and 2017. How has its accuracy improved? In the last 30-40 years, we have got better understanding of the Indian monsoon. But I will still be humble and say that we know very little about the monsoon. The monsoon system is complex, but it is a beautiful science. Observations are a big constraint for us. We don’t know about some of the factors that cause monsoon variability. Even US scientists now want to study the Indian monsoon because it is both challenging and beautiful, and can give way to good science. HARISH DAMODARAN: Is the funding for meteorology in India adequate? Yes, I think it is adequate. Our ministry was formed in 2006 (earlier it was part of the Ministry of Science and Technology) and since then, funding has improved a lot. Whatever we ask for, the government has given us. The progress we have achieved in last decade is because of the increased funding. For example, we managed to spend Rs 400 crore on the Monsoon Mission model, which we now use for monsoon predictions.